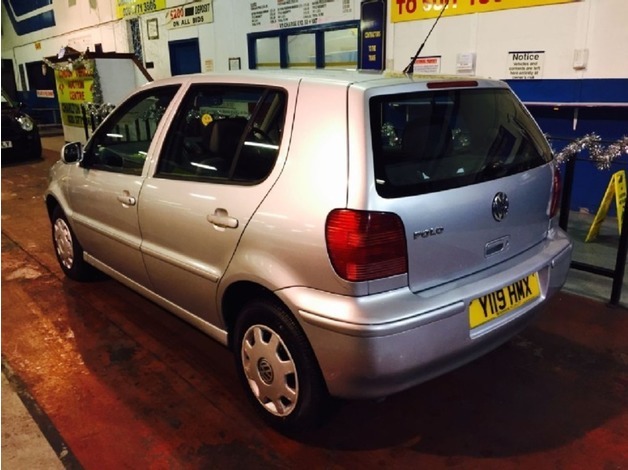 1.4 PETROL, AUTOMATIC, ELECTRIC WINDOWS, VERY CLEAN INSIDE, ONLY 73000 MILES, ECONOMICAL, 3 FORMER KEEPERS, MOT 11 JUNE 2016!! BUY IT NOW PRICE 990 OR COME TO ONE OF OUR AUCTIONS WHERE YOU CAN NEGOTIATE THE PRICE!! AUCTIONS HELD EVERY TUESDAY AND THURSDAY AT 7PM AND SATURDAYS AT 1PM. VIEWINGS WELCOME.. Volkswagen. Polo. 1.4 S 5dr Auto [60bhp]. Petrol. Hatchback. 5 door. 1.4cc. Automatic. Silver.